The CBI is "scared" of Manish Sisodia, Delhi Chief Minister Arvind Kejriwal today said, referring to the inquiry initiated by the agency against his deputy. 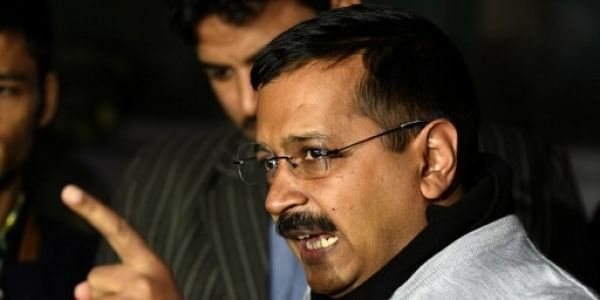 NEW DELHI: The CBI is "scared" of Manish Sisodia, Delhi Chief Minister Arvind Kejriwal today said, referring to the inquiry initiated by the agency against his deputy. On his part, Sisodia dared the investigating agency to arrest him. The preliminary enquiry was merely a tool to stall reforms in Delhi's education sector, he said. "Manish kept waiting for CBI, but it did not come. Till now, people used to be scared of CBI, for the first time CBI is scared of someone," Kejriwal tweeted. Sisodia said he was being punished for creating world class facilities for school children "unlike governments" who push them towards "drugs". "My work scares them. I invited them to come and arrest me. They should understand that they are affecting the future of 26 lakh children of Delhi and causing me no personal harm. The moment we vowed to arrest Punjab Minister (Vikram) Majithia they made arrangements to arrest me," he said, addressing an event. Meanwhile, asked about the CBI enquiry against his daughter Saumya over her appointment as adviser to the Mohalla Clinic project, Health Minister Satyendar Jain said, "It seems Jung has got nothing out of the 400 files he had sought."